Well hello there! 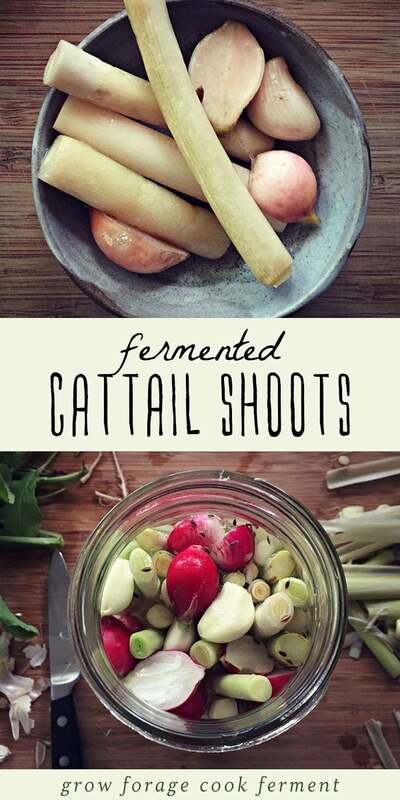 I’ve been busy this weekend with my ferments, one of which has to do with cattail shoots. After we collected a good bunch of cattail shoots a couple of weeks ago I couldn’t quite decide what to do with them. When eaten raw they tasted similar to fresh cucumber, which made me think of pickles. Joel cooked some up with butter and they were delicious, but once I got pickles in my head I couldn’t think of doing anything else. 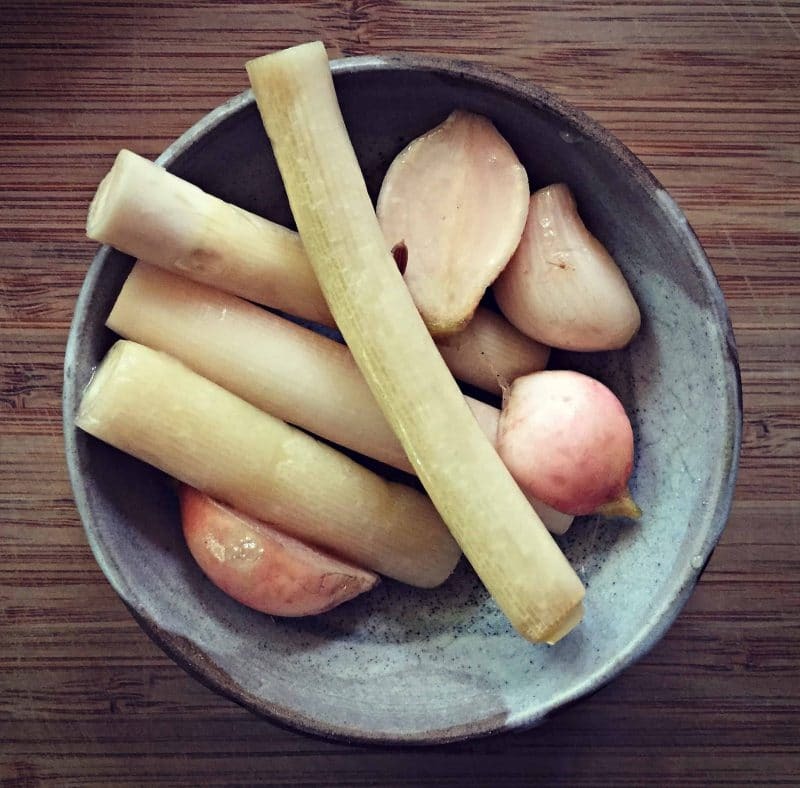 So, of course, I made fermented cattail shoots! 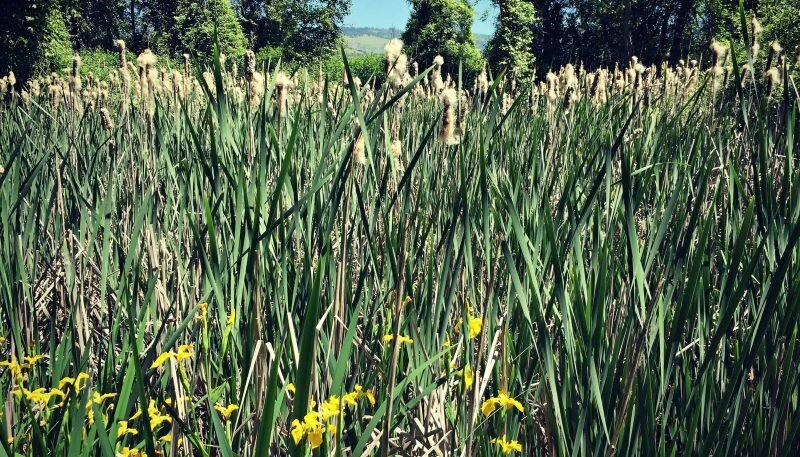 The first step in the process is to go foraging for cattails, and spring is the best time of year to do it. I’m sure you have a patch somewhere near you. Once you have collected and processed your shoots, it’s a fairly simple process to get them fermenting. First cut them into smaller pieces and put them into a jar. I wanted to do a small batch, so I used a quart size jar. I decided to add some radishes to the mix because I had a plethora of them, and some garlic because I always add garlic! Also dill and mustard seeds. Cover the veggies with a brine of 3 tablespoons kosher or pickling salt (not iodized) per quart of water. The cattails really want to float! I contacted my friends at Ferment Works about this type of ferment, and Kirsten suggested that I add some already fermented brine to help get it going. I had some kimchi in my fridge, so I added a few tablespoons of its spicy brine as well. Then I put a weight on top to keep everything submerged. The radishes lost their beautiful color and everything was a little bubbly, but it tasted wonderful! It would be a great topping for a salad, or as part of an appetizer platter. 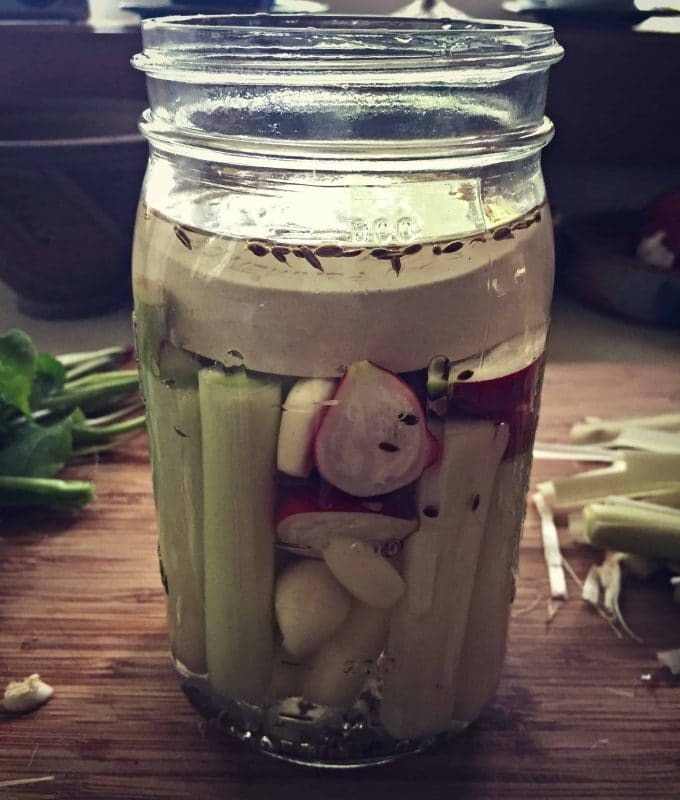 I’m always amazed by how wonderful home fermented veggies are! 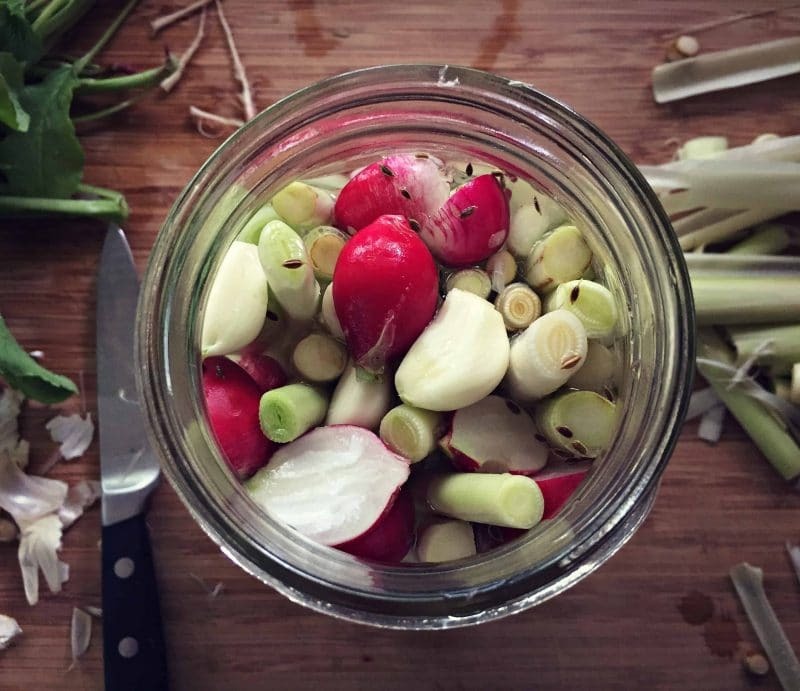 Foraging for veggies then fermenting them is such a natural process. It really feels like what we are supposed to be doing. Eat what you can fresh, then preserve the rest for a later time. 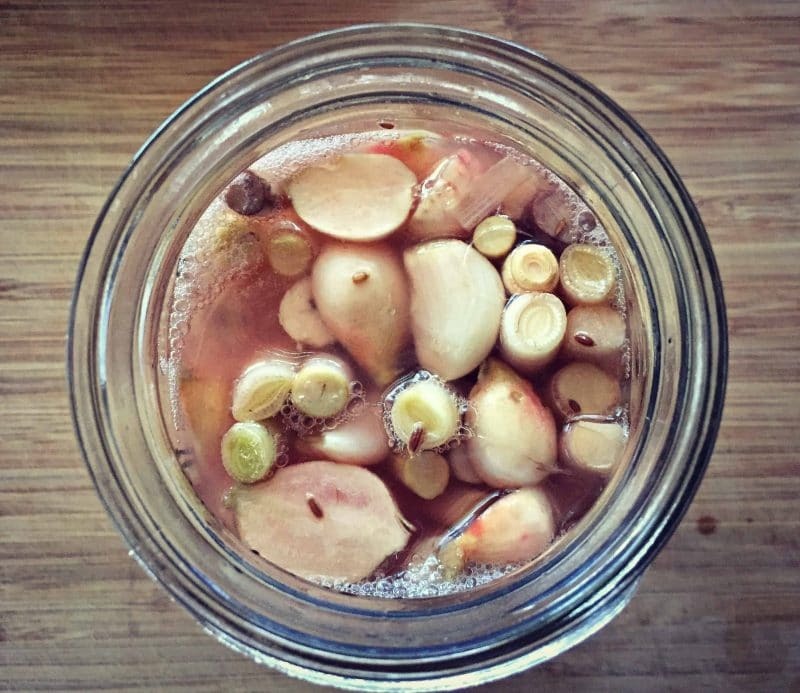 Fermenting is one of the best ways to do this because of all of the healthy bacteria for your gut. 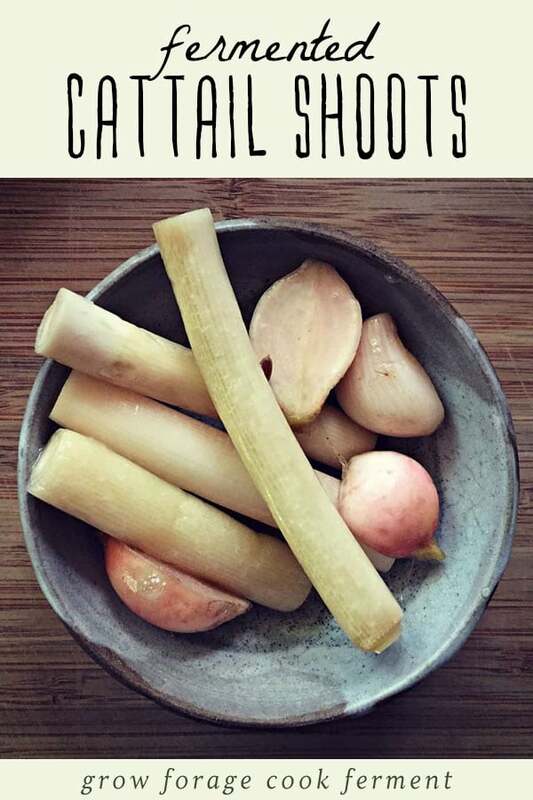 Not to mention these fermented cattail shoots are super tasty! 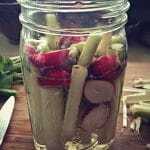 What is your favorite foraged food ferment? 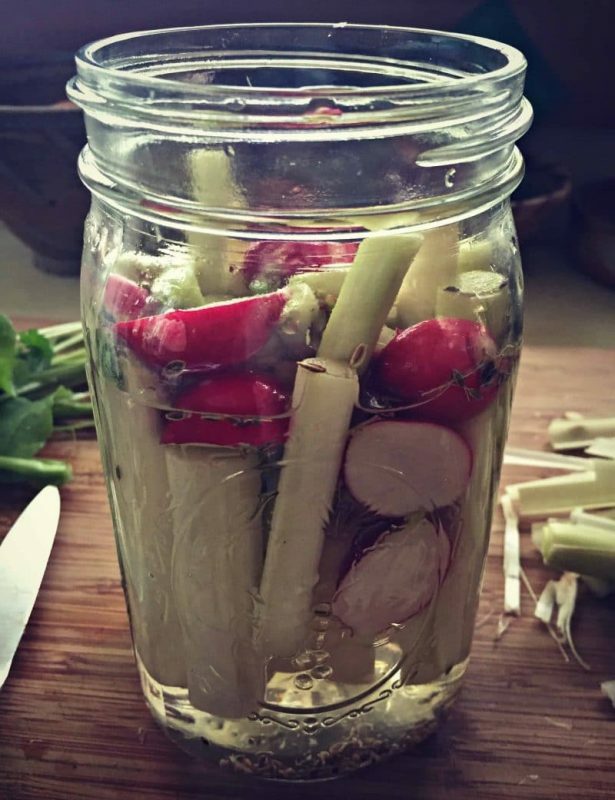 Go forage for their shoots, then make these fermented cattail shoots with radishes and garlic. This easy ferment would be a great topping for a salad, or as part of an appetizer platter. They taste amazing and are packed with healthy gut healing probiotics! 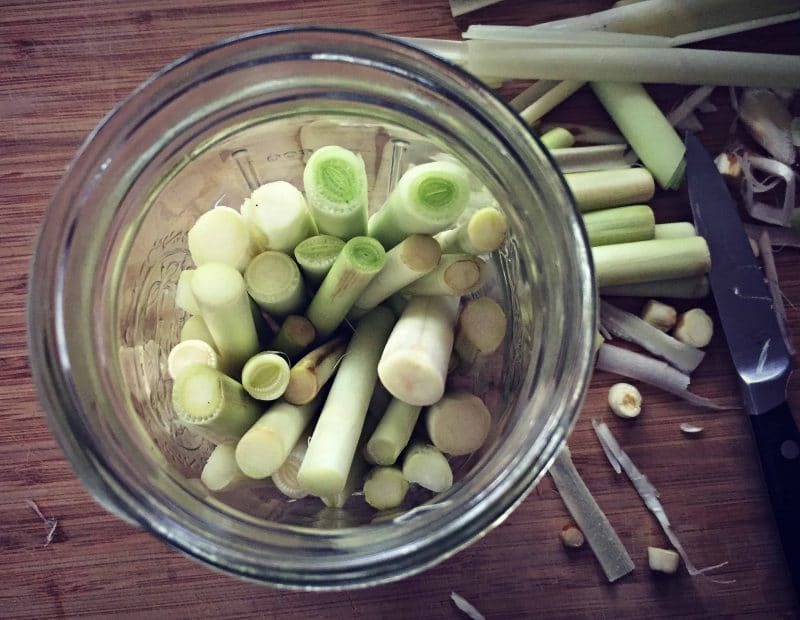 Cut the cattail shoots into smaller pieces and put them into a quart-sized mason jar. Cover the veggies with a brine of 3 tablespoons kosher or pickling salt (not iodized) per quart of water. Put a weight on top to keep everything submerged. Cover the jar with a towel and let it sit in a cool, dark place. Check it every few days to make sure the veggies stay under the brine and that no mold is forming. During the fermentation, a thin layer of white stuff on the top is ok, you just want to avoid anything green or black. Serving Suggestion: great topping for a salad, or as part of an appetizer platter. This is so interesting! I used to see these (and deal with them) when I was younger all the time! To be able to use them to make a ferment sounds like the best way to get back at them! Thank you for this recipe, I can’t wait to try it at home! I enjoyed reading about cat tails. I learned a lot by reading this.. I have a lake near by which is fed by 5 springs. It has cat tails in it. I will have to try them. This is so awesome. I hope I can find some Cattails so I can try this out. Thank you for the information. This is easily the best thing I have seen all day! You rock! Wow, I’m really going to have to give fermenting a try sometime. You make it look so easy. 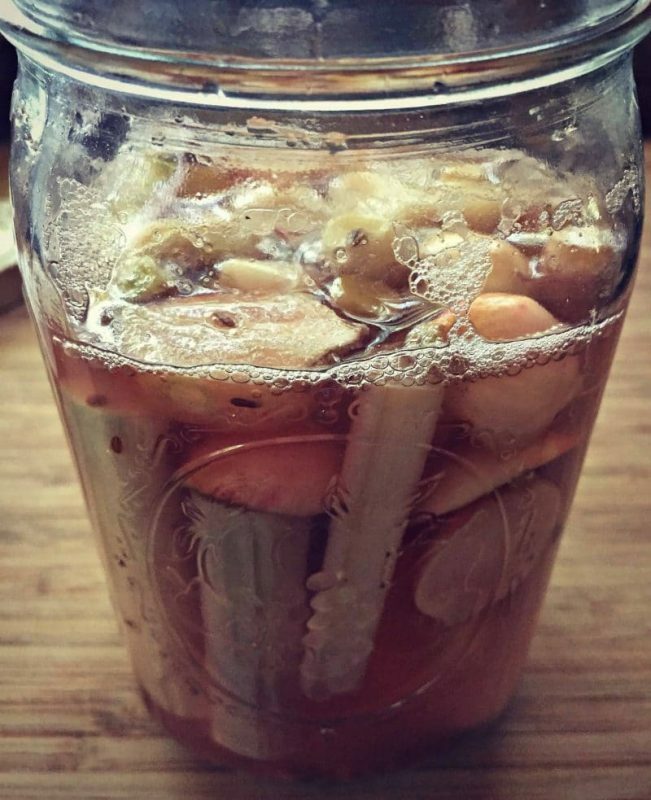 Thanks for sharing and I’m saving this for when I do learn to ferment. Colleen, what grows that can not be edible?